Is your dog getting too much sodium in his diet, or not enough? How dangerous exactly could too much or too little be? Could your dog’s life be in danger without you even knowing about it? Discover the answers to these questions, along with the best low sodium dog foods, below! Have you ever drank a little too much alcohol, and woke up with a ‘hangover’ the next morning? Most people think this happens because they are dehydrated, which is partially correct. They also feel so badly because they lost so many electrolytes the previous night. For both humans and dogs, and just about any other animal, electrolytes are important for survival. Electrolytes mainly help regulate the flow of water in and out of our cells while helping maintain nerve impulses. We can’t survive without them. Too much salt (sodium, NaCl), on the other hand, can be a big problem. Because salt tends to absorb water in the body, too much can lead to dehydration, and in extreme cases – become lethal. In most normal, everyday cases, your dog’s dietary sodium intake is probably fine. The most common reasons your dog will need to begin a low sodium diet is due to kidney issues or cardiac problems, like congestive heart failure. In the case of congestive heart failure, your dog’s heart is causing his body to retain sodium he doesn’t need. Excess sodium can cause your pup’s body to begin to retain more and more water. If allowed to continue, this excess buildup can easily become dangerous! Over time, your dog’s heart could enlarge and be unable to pump blood effectively throughout his body. Circulation problems means less oxygen to the body’s tissues, for any animal (humans included). If the body’s cells don’t get enough oxygen, they aren’t going to function properly. Though most commercial dog foods are absolutely fine, extra sodium can be packed on along with dog treats. Keep in mind, dogs weren’t meant to eat treats all day, and commercial dog treats aren’t meant to be a large part of our dog’s diets. Keep your dog heart healthy by monitoring these! It’s recommended that most foods offer at least 0.3% sodium. Remember, sodium is required for survival; too much of a restriction could hurt more than help. Healthy dogs don’t necessarily require restrictions (as long as they only eat dog food and avoid human food), and can consume a diet containing the normal levels of sodium found in commercial food. Dogs suffering from heart disease or diabetes, for example, will be in need of further restrictions. Owners would want to consult their veterinarian before severely restricting their pet’s sodium intake. Hopefully owners of dogs with some form of disorder requiring sodium limitations are already consulting a veterinarian! Underlying medical condition; contact your veterinarian! Your dog is eating too much human food with added salt. Stick to low sodium dog food. By now, you know that not all foods are created equally, and many aren’t designed with special sodium related concerns in mind. Learn to read labels, and know where to find that particular food’s sodium levels! Our Top Pick out of all the dog foods out there can be found HERE! 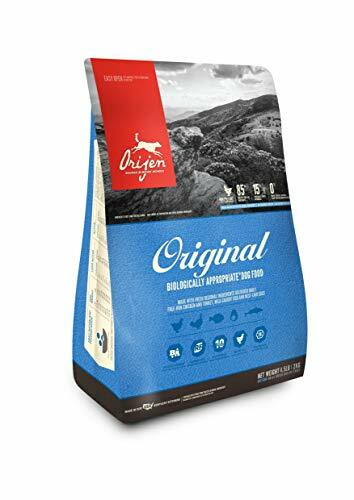 As a premium dog food brand, Orijen is about as good as they come! Where most good brands stop at the first ingredient being a source of animal protein, or some great ones the first two, Orijen just keeps going. In fact, you won’t find a plant source among the first 15 ingredients listed below. After that point, anything else listed presents in such miniscule amounts, they don’t make much of a difference. At least four different kinds of fish offered, along with eggs; fantastic sources of Omega 3 & 6 fatty acids! First two ingredients are high quality animal products. 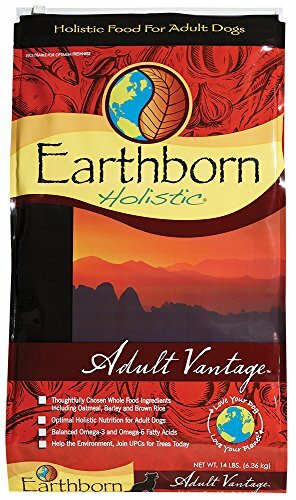 Featuring Bison meal as their primary ingredient, Earthborn Holistic offers plenty of high quality animal protein, ensuring all dogs get the amino acids they need to thrive. In fact, bison meal is considered a protein concentrate, containing up to 300% more protein than regular bison. Quality animal protein, on top of both Omega 3 & 6 fatty acids to help maintain healthy skin and coats. Grains offered, though they may be easily digested, are considered unnecessary, filler ingredients. This is why so many brands will go out of their way to advertise their products as ‘Grain Free’. With the first two ingredients being deboned chicken and chicken meal, you have plenty of quality animal protein here! 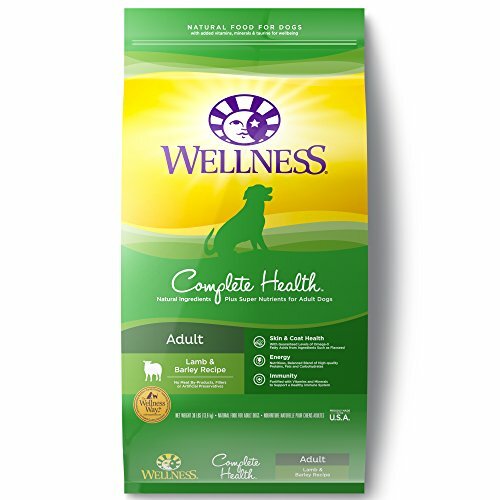 Where some brands simply offer a ‘meat and bone meal’ mixture, Wellness Complete provides easily digestible ingredients without any ground up bones in the mix. First two ingredients listed are high quality sources of animal protein. 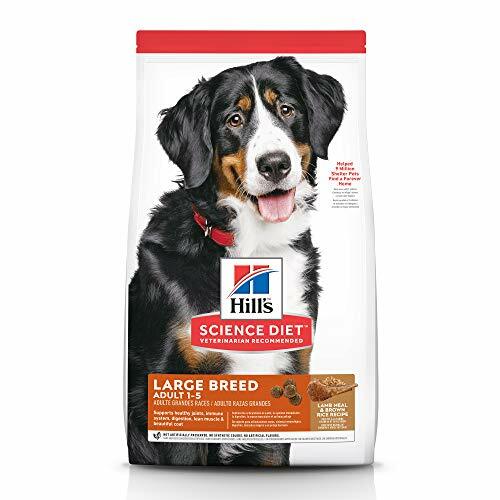 As an age old and well respected name in dog food, Hill’s Science Diet is specially designed to offer exactly what a dog needs to thrive nutritionally on a daily basis! As you can see below, the very first ingredient is a high quality source of animal protein, easily meeting any dog’s amino acid requirements. First ingredient is a high quality source of animal protein. Several unnecessary filler ingredients; few sources of animal meat/ animal protein. 1. How much sodium should dogs get in their diets? Remembering sodium is an integral component for any dog’s survival, there really is no magic exact number. Depending on activities, needs might rise or lower slightly. In general, most experts say commercial dog foods should contain at least .3% sodium (point three percent), but most healthy dogs can have a bit more in their diets. Special attention should be given to senior dogs. 2. What happens if my dog overdoses on sodium? Too much sodium can be very serious, possibly resulting in kidney failure, high blood pressure and cardiac disease, and obvious eventual death (especially in the case of kidney failure). Several of the signs & symptoms of Hypernatremia are listed above. Because sodium causes cells to retain water, dehydration would likely be one of the signs of overdose, especially if your dog is exhibiting vomiting or diarrhea. 3. Should I supplement my dog’s diet with sodium? The answer here is usually a resounding NO. In fact, most human foods contain higher levels of sodium than are found in a dog’s natural diet; dogs are usually getting more than enough sodium. On top of this, manufactured dog foods are specially designed to contain the right amounts of sodium for any dog’s diet. Though foods are often fine, dog treats can pack on the sodium and should be checked. The point to remember here is that today’s human diets tend to contain more sodium than what is healthy for a dog. Be cautious when feeding your pet human food. 4. What do I do if my dog begins to show symptoms of dehydration or Hypernatremia (sodium overdose)? Call then drive your dog to your vet immediately. Simply offering more water may not help much if the problem has become serious. If it is outside regular business hours, contact an emergency veterinarian- there are vets that operate on a 24/7 basis. 5. What is considered low sodium dog food? Less than 100mg of sodium per 100 calorie portion is considered a low sodium content. Most sources say the overall sodium content should equal less than 0.3% of the total food. Before you decide to go out and restrict your dog’s salt intake, remember that the Association of American Feed Control Officials (AAFCO) recommended dry dog food contain at least 0.3% sodium. 6. What does sodium even do? Sodium Chloride (NaCl) in the body is what we call an electrolyte. It works to help produce electrical impulses, exactly as the name implies. Sodium is regulated by the body’s kidneys, and also helps regulate the body’s fluid balance. 7. Is less sodium better for my dog than more? Just like anything else, sodium is fine in moderation. It is even very important! Usually there is no need to limit your dog’s sodium intake. If your dog has a heart, cardiac, or kidney condition, your veterinarian will probably recommend a low sodium diet for your dog. On the flip side, I don’t know of any manufacturers that sell ‘sodium free’ dog food, or anything close to it, without a prescription. Because salt is vital for a dog’s survival, every dog food should contain at least some (.3% was the standard). Video: What’s the Best Low Sodium Dog Food? So, the big question is: Do you need to limit your dog’s sodium intake? The answer is probably not. Most commercial dog foods are designed to offer just the right amount of salt in your dog’s diet. You do need to concern yourself with offering too much sodium along with frequent dog treats or human food!